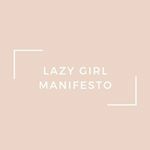 My name is Laura & I run Lazy Girl Manifesto. It's a lifestyle blog and Instagram account mainly targeted towards women. I've worked in digital marketing for the last few years and do additional freelance marketing on the side. My followers are both male and female, but engagement typically comes from women aged 23-40 living in the UK. I've worked with a few brands over the last few months and I've helped increase their followers, engagement and sales. Demographic data for @lazygirlmanifesto's audience is available for free to influence.co users.